Melcher Media Inc, 9781595910677, 336pp. 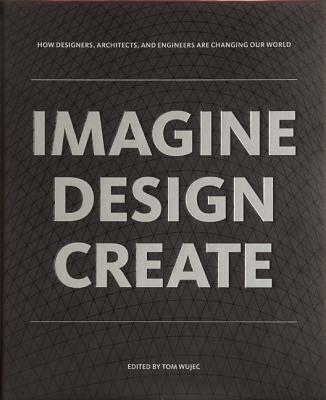 Tom Wujec is a Fellow at Autodesk, the world's leader in 2D & 3D design software. As a recognized thought-leader and award-winning innovator, Tom works with the Fortune 500 to foster innovation practices at all stages, from strategic and business planning to the design and implementation of advanced digital design tools. He has brought several software applications to market, including Autodesk SketchBook Pro, PortfolioWall, and Maya which won an Academy Award for its contribution to the film industry. Tom is a pioneer in business visualization, the emerging practice of using images, sketches and data-driven infographics to help teams solve complex problems. Tom's work has been featured in many international conferences, such as TED, Pop!Tech and the Fortune Innovation Summit Tom is also the author of three books on creative thinking and is a highly sought after international speaker, and delivers visually rich innovation keynotes, workshops and knowledge maps. Tom has worked as a creative director, writer and animator, has designed dozens of museum exhibits, and lives in Toronto with his wife and two children.